When you delve into the history of tartans, and look at the official Register, it is amazing what you find - proof positive that anyone, regardless of faith or genetic background can have a Tartan Wedding. One of my delights is crafting intercultural wedding ceremonies, where we look for commonalities between the cultures and celebrate those with a purpose-created ceremony and rituals, so finding the Scottish Islamic Tartan, which does that in a fabric really speaks to my heart. The connection between Scotland and Islam has been long-standing. Scots traveled to many countries with Muslim populations over the centuries as merchants, military men, and civil servants. The first Muslims to come to Scotland were seamen and servants brought over from India during the 18th century by the Scottish merchant ships and the retiring Scottish officers of the East India Company. Towards the end of the 19th Century Muslim travellers began to settle in Scotland. To celeb rate the link between Scotland and Islam, Dr Azeem Ibrahim, after lengthy consultation and advice from leading Islamic scholars, worked with top tartan designers at D C Dalgliesh, the last specialist mill weaving tartan cloth on traditional looms, to create a tartan. 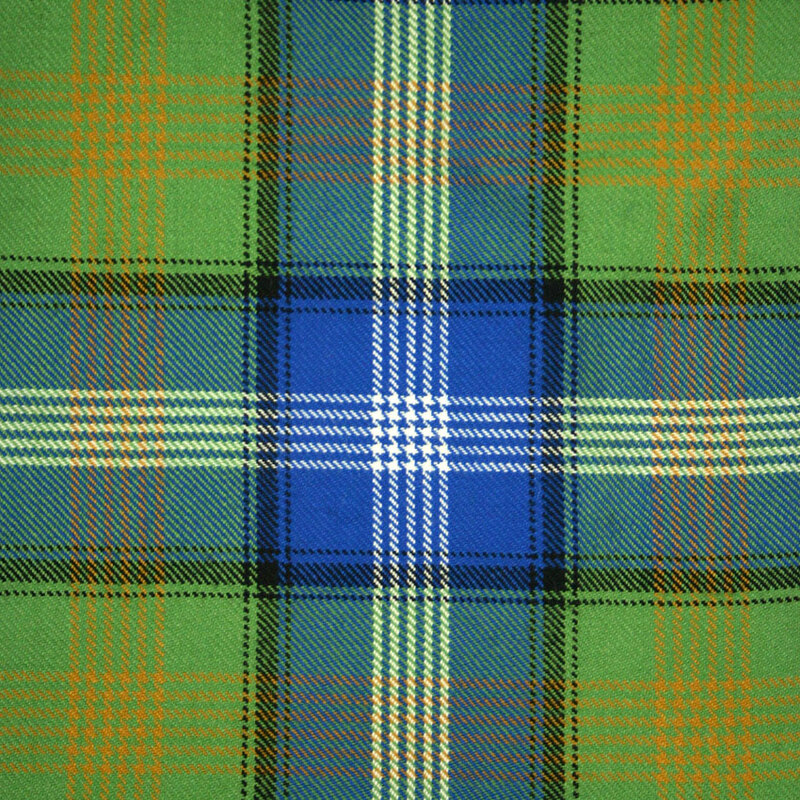 The theological explanation of the design is: The blue represents the Scottish flag and green represents the colour of Islam. The five white lines represent the five pillars of Islam. The six gold lines represent the six articles of faith, and the black square represents the holy Kabah.